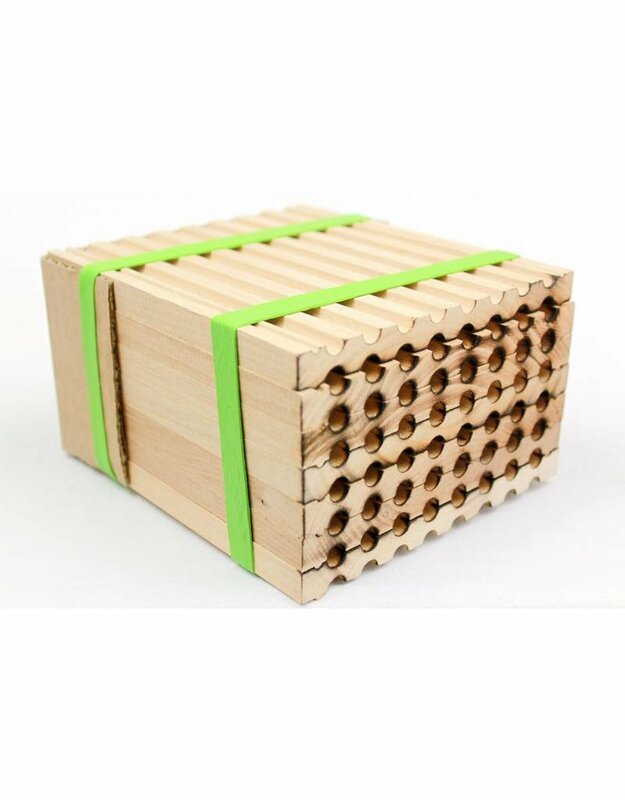 Mason bee nesting trays are perfect for the serious mason bee raiser. 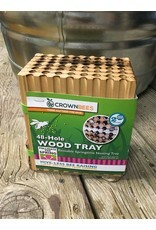 Trays should be placed within a bee house to protect from rain. Precision crafted of Northwest alder. Nesting holes are 8mm in diameter, the preferred size of spring mason bees. Houses 25-30 female mason bees, about 80 total cocoons. Front is lightly burnished, creating a visual pattern that helps the mason bee find home. 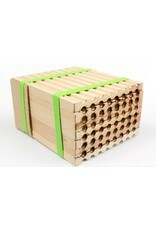 Cardboard removable backing protects the mason bees and encourages nesting. Side notches lock into neighboring trays, retain alignment, and help block pests from entering on the side. 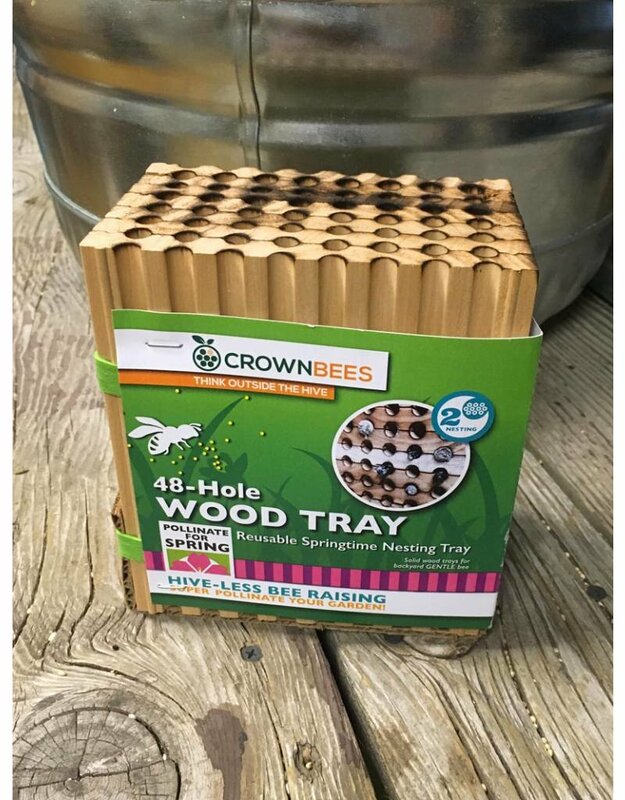 Easy to open and clean to remove and harvest mason bee cocoons in the fall. Scents left from previous mason bees will attract next year's generation of mason bees. Wood is natural habitat for mason bees and provides both insulation and moisture control - a natural wicking effect that pulls moisture from the wet pollen loaf, preventing moldy cocoons. If building your own bee house, ensure that you have plenty of overhang space!